More video resources today. I’ll keep this up until I have exhausted my subscription list on YouTube. For more science-related content, be sure to check my Twitter feed, which I’ve also embedded on the mrkremerscience.com homepage. Screen shot of the Periodicvideos.com homepage. Brady Haran is a supremely entertaining master of chemistry at the University of Nottingham, and he posts new videos every single week on his YouTube channel called Periodic Videos. (It’s a play on words! Get it?) Mr Haran claims that his channel is “Your ultimate channel for all things chemistry. 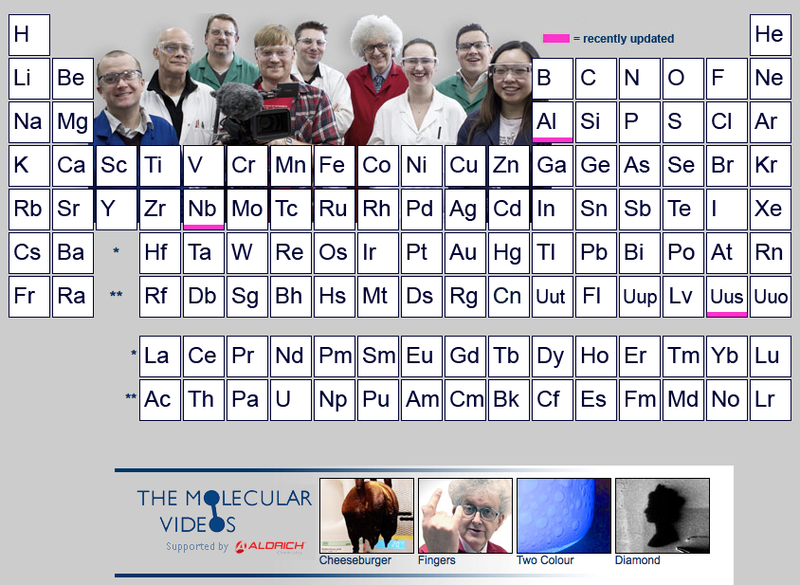 [It includes] A video about each element on the periodic table.” He’s also got an excellent related website by the same name, which shows the most recently updated element videos. You can have lots of fun with this channel. Last but definitely not least is one of my favorite online resources for exploring biology and life science. John Kyrk is a Harvard-trained biologist and artist living in California, USA. 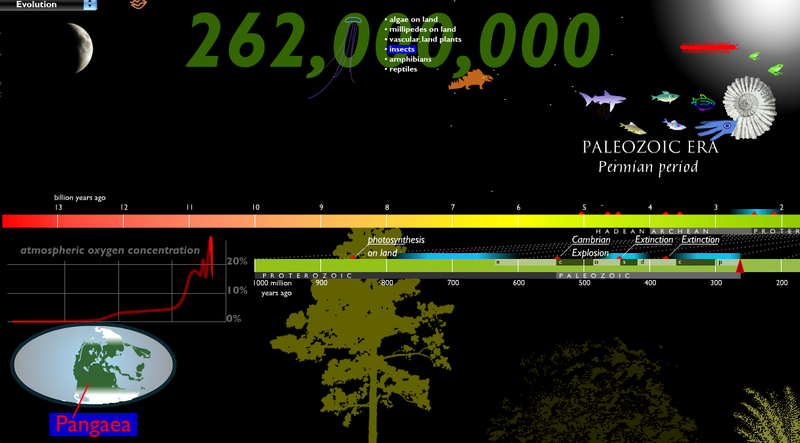 He specializes in making Flash animations for science, and they are incredible. Please check out his website, JohnKyrk.com. My personal favorite is his evolution animation, which shows the history of all the elements and living things since the Big Bang 13.8 billion years ago! Screenshot of John Kyrk’s evolution animation. This entry was posted in MYP Science and tagged biology, Brady Haran, chemistry, evolution, Flash animations, Hank Green, John Kyrk, Periodic Videos, resources, science, SciShow, University of Nottingham, videos. Bookmark the permalink.